Wood properties can be enhanced by technology. 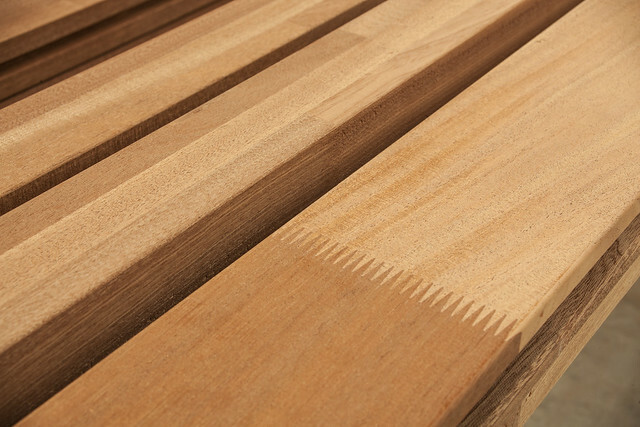 Interholco offers engineered wood products to naturally extend the life-span of your exterior and interior projects. Our industrial know-how and African wood are the best match for demanding applications. We are proud that our glue laminated finger jointed profiles in Bossé, Kosipo, Limbali, Sapelli and Sipo are conform with CTB-LCA quality certificates and FCBA product certification.